Twitter has confessed that they shadowbanned a factual tweet about Hillary Clinton working with Russians to obtain information about then-candidate Donald Trump. 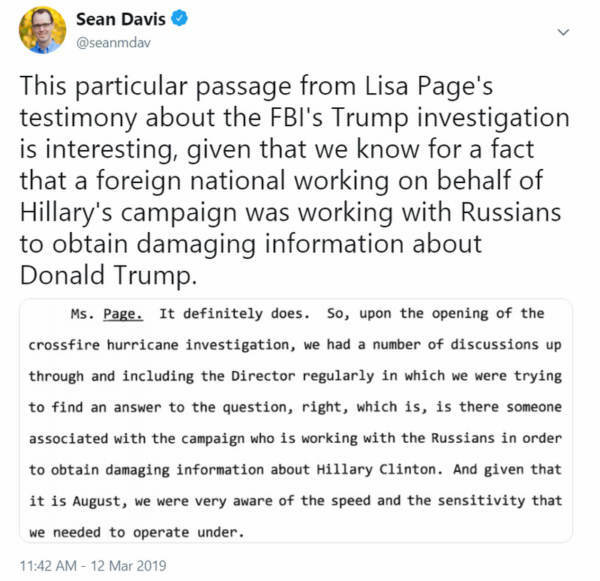 Sean Davis, co-founder of conservative website The Federalist, had tweeted a screenshot of former FBI attorney Lisa Page’s Congressional testimony in which she discussed an urgency within the FBI to find evidence of someone within the Trump campaign working with the Russians to obtain damaging information about Clinton. “Twitter gave me no notice or explanation when it shadowbanned one of my Tweets about Russian interference in our elections. But what’s worse is how Twitter apparently gives its users the fraudulent impression that their tweets, which Twitter secretly bans, are still public,” Davis wrote. 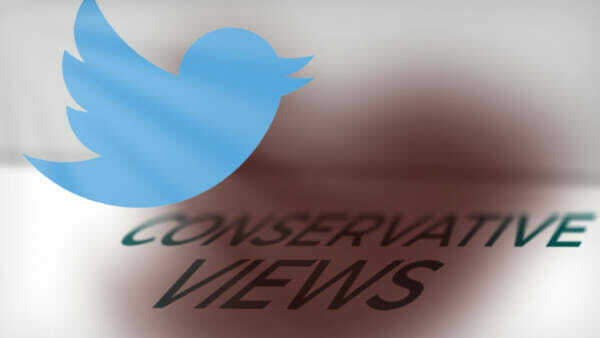 Congressman Devin Nunes (R-CA) filed a $250 million lawsuit against Twitter on Monday for shadowbanning conservatives to influence elections.